The big headlines with the all-new version of Ford’s popular people carrier are the promise of lower running costs, greater driving pleasure and the introduction of the latest technologies. On the emissions front, the new 2-litre diesel engines will cut CO2 by seven percent, and are available in 118, 148 and 177bhp flavours. 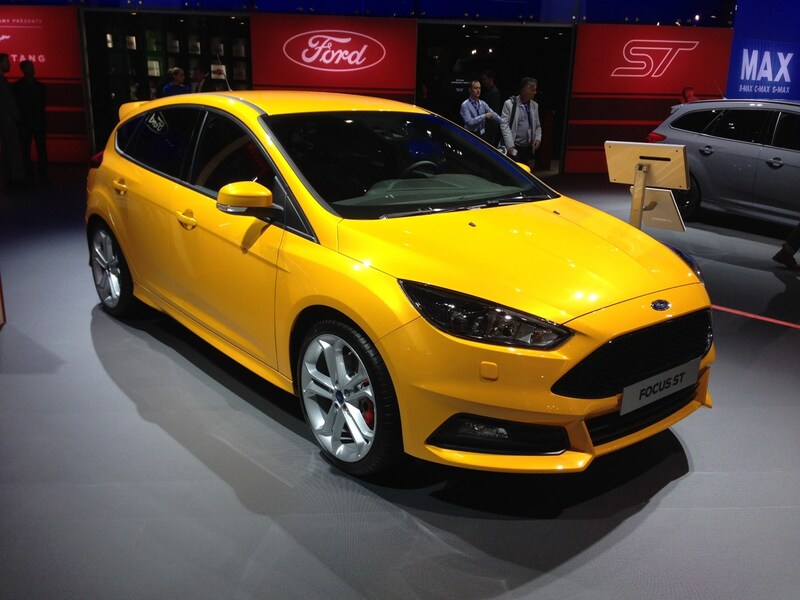 Ford has also announced that the S-Max will be available with 1.5-litre and 2-litre EcoBoost petrol powerplants. In addition, to ensure no driving pleasure is lost, the car features adaptive front steering that moves the front wheels more or less relative to the road speed. This will make the car easier to park, and more agile and engaging at higher speeds. 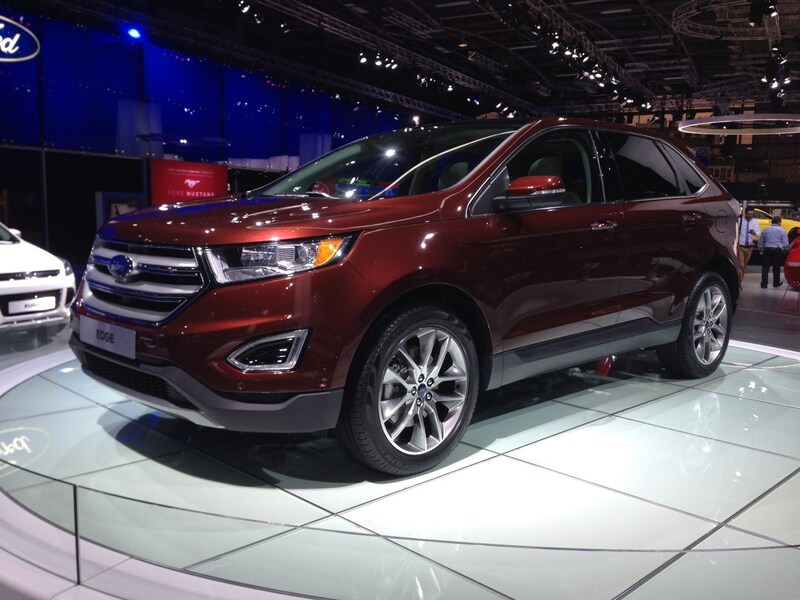 The Ford’s design has also been updated, in line with the manufactures commitment to a global design language. The S-Max exterior gains the trapezoidal grille first unveiled on the new Fiesta, sculpted LED running lights and a lower roofline. On the inside driver comfort is clearly a priority; with new soundproofing, enhanced ventilation and an active massage function designed to address driver fatigue. The latest in safety tech has also been lavished upon the S-Max, with it boasting Pre-Collision Assist, Blind Spot Recognition and a body structure 3 percent stronger than the current one. Driver aids have not been neglected either, with the Ford able to park itself in both parallel and perpendicular bays. The S-max also gets Ford’s voice recognition SYNC 2 system that promises easier access to all of the cars controls. Convenience and practicality will also be a strong point of the car, with Ford showing off thirty-two different load space combinations making it ideal for the family. It is expected in dealerships at the beginning of summer 2015, with orders taken a few months before that. Prices are expected to remain roughly the same. 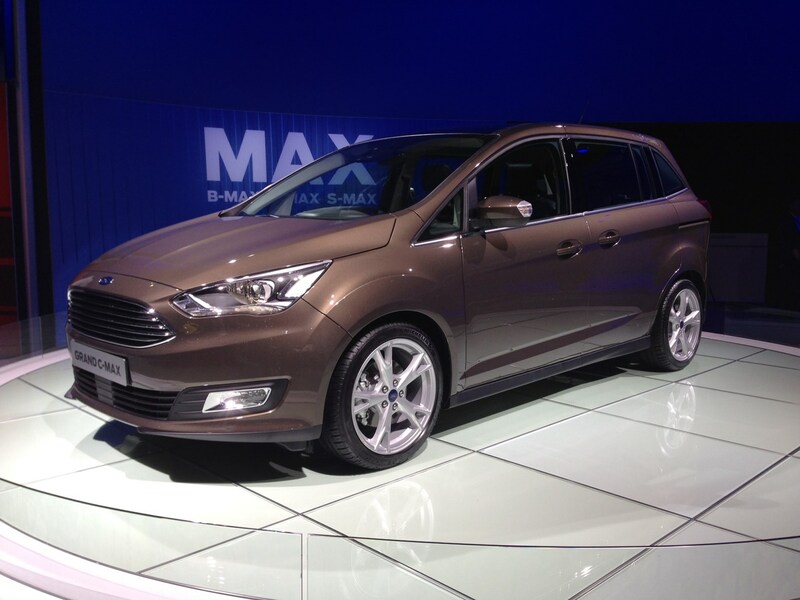 Find out more about this new people-carrier in our Ford S-Max preview. The C-Max and Grand C-Max were already practical propositions from Ford, who has further improved these attributes with its face-lifted versions. The interior of the cars has received a redesign, to make it even more versatile when faced with family clutter. A swing bin glovebox, 1-litre bottle holder and deeper dashboard storage are all new additions. The C-Max family also gets a practical hands-free tailgate as standard, something rival cars are yet to feature. The interior also has fewer buttons, as a result of Ford’s voice activated SYNC 2 system replacing many of the physical controls. Economy is order of the day when it comes to the available engines, with both the 1.5-litre petrol and diesel offerings topping 50mpg. A 1-litre petrol Ecoboost will also be available, and with emissions of 99g/km the car tucks into the coveted £0 VED band. 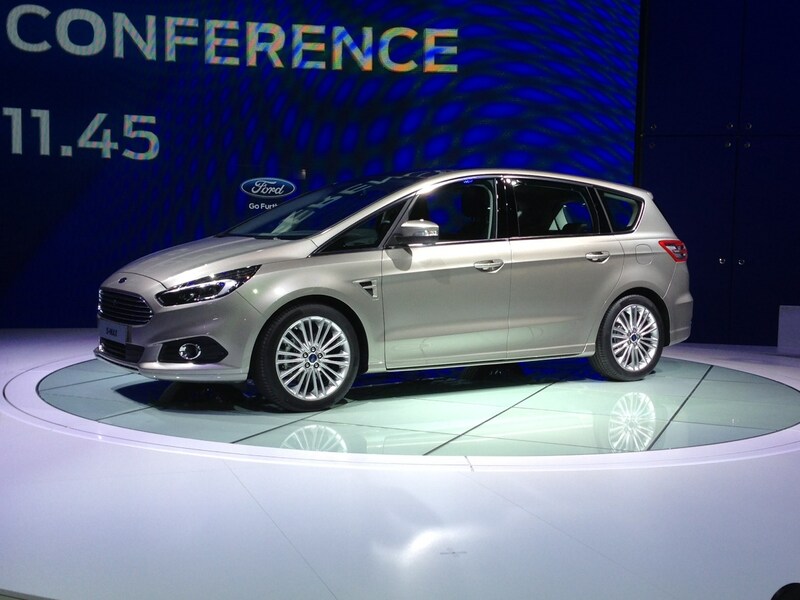 The exterior has also had a refresh, with Ford’s global design language applied to the C-Max family. With the standardised grille, and swooping bonnet lines, this is a sleek , practical new people carrier from the manufacturer. The C-Max and Grand C-Max are expected to go on sale in early 2015. After a long-gestation and regular appearances at motor shows, the latest Mondeo is in Paris with the pricing for the UK confirmed. Deliveries of the petrol and diesel-engined hatchbacks and estates will begin before the end of 2014, along with the saloon body style which reappears in Britain, but now exclusively with a petrol-electric hybrid power train. 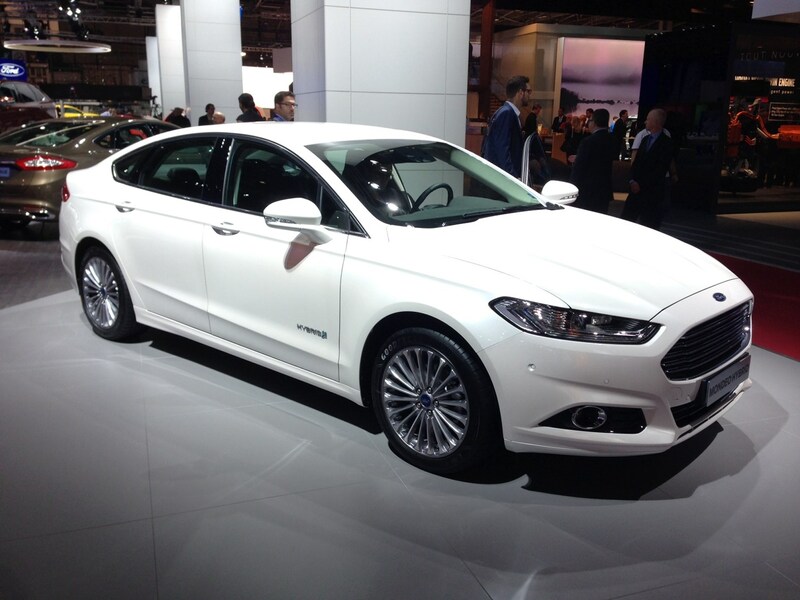 We are testing the new Mondeo shortly after the Paris motor show, with a detailed full review following soon after.